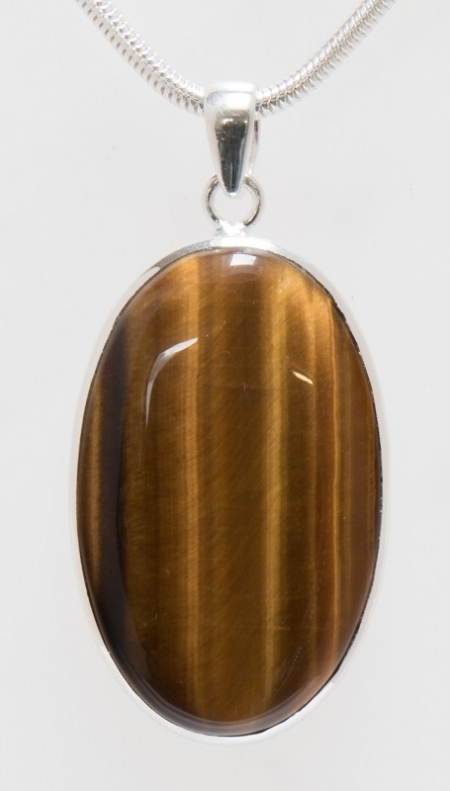 Oval tiger eye cabuchon set in sterling silver. Good vertical 'banding' on the stone. .